I’m a New Media specialist working for an advertising agency. We found your site as it’s has some great blog posts that are relevant to our client‘s site which deals with dancewear, dance accessories, ballet clothes. We would be happy to sponsor a new relevant post created by you and get a backlink to our client's website inside your article. Please provide us with your prices/requirements on this if this suits you. Please feel free to get in touch if you wish to discuss this further. Thank you for your message and interest in my website, it's very encouraging to hear. I'm always looking for new ways to branch out my website and meet other people in the field. 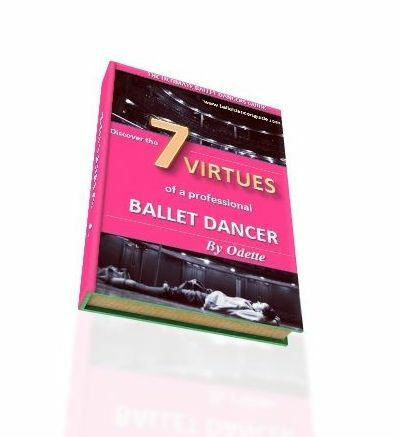 I must apologise for being so late in my reply, I've been busy dancing and promoting my new eBook "7 Virtues of a Professional Ballet Dancer". I'm interested in discussing this further with you, as I'm always open to ideas. It would be best to communicate through email for this, so if you just leave me your email through the contact form again, I'll be in touch with what I could provide you through my site. I look forward to hearing from you.